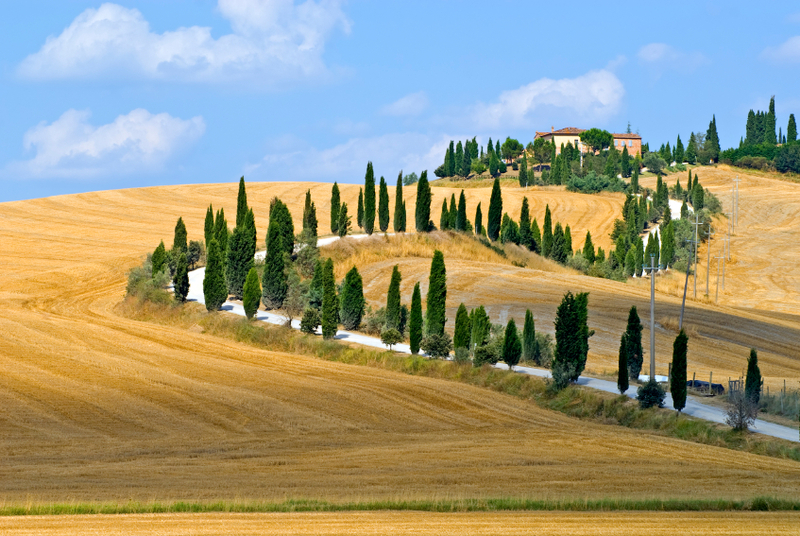 Italy, and in particular the beautiful region of Tuscany, have so much to offer. So it’s no wonder that many people are choosing this part of the world for their next holiday destination. From the rolling hills of the Chianti countryside to the beautiful, bustling cities rich in history and culture, there’s something for everyone. And if you’re looking to rent a villa in Tuscany, we’ve got exactly what you need. With a huge variety of villa rentals in Tuscany, Italy, you’ll find your prefect holiday accommodation. If it’s a traditional Tuscan city that you want, then look no further than Florence; the Renaissance centre of Italy. With its incredible art and architecture, Florence is a masterpiece in itself. You can spend hours just wandering around this amazing city, but if there’s only one museum you see, make it the Uffizi. Make sure you book your tickets in advance to avoid queues. There’s also the classic medieval town of Siena, with its spectacular fan-shaped Piazza del Campo, and of course Pisa. Don’t miss its famous leaning tower, but be aware that the site is just outside the historic centre. If you want something on a slightly smaller scale, then you’re spoilt for choice when it comes to small, medieval towns and villages. Take a trip to San Gimignano, famous for its beautiful, majestic towers and rich history. Or, if you’re a Twilight fan, try the mystical town of Volterra. Montepulciano is known for its wine and impressive main square surrounded by beautiful renaissance buildings, while Monteriggioni is probably one of the most classical and best known Italian walled towns. And then of course, there’s the picturesque Chianti region, with rolling hills, miles upon miles of vineyards and quaint villages. With its perfect soil conditions and pleasant climate, Chianti has been used for wine cultivation since Etruscan times, and there are a number of wine tours available throughout the region, many of which include lunch and tours of the stunning countryside. Try the Italy and Wine company for a great selection of tours, or grab a map and take to the wine trail yourself! For those of you who are keen on outdoor activities, then Tuscany has plenty, from ballooning to bird watching, mountain biking and diving. And don’t forget the beautiful beaches! Elba Island has over 70 of them, and Monte Argentario in the Maremma region offers an exclusive, laid back feel, as well as enticingly warm Mediterranean waters. And after all this, you’ll definitely be in need of some rest and relaxation, so why not check out one of Tuscany’s natural thermal springs of luxury spas. Head to Venturina, Saturnia or the enchanting Bagni di Petriolo to enjoy the hot, inviting thermal springs. From luxury Tuscan holiday villas, to seaside villas, rustic farmhouses and city apartments, we’ve got your accommodation needs covered. Coupled with our car rental, private concierge and personal travel guide services, planning your trip to Tuscany will be easy. Deciding exactly which of these beautiful Tuscan towns or cities you want to stay in may prove to be a little more difficult however!